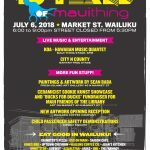 Maui musician Anuhea is hosting the official launch party and fundraising concert for her new Aloha Always Scholarship Foundation. The party takes place on Saturday, July 7 at Charley’s in Pāʻia. This features two events–one by DAY and one by NIGHT–filled with live music, a silent auction, prizes and giveaways. 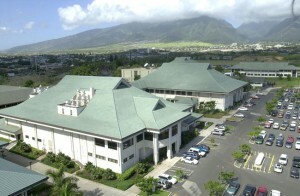 This is to raise money and awareness for the scholarships being awarded to Hawaiʻi students seeking higher education. The daytime event runs from 1 to 5 p.m. and is open to all ages. Adult tickets are $25, and keiki tickets are $15 (12 and under, must attend with a paid adult). The silent auction will take place in the restaurant, while live music is on stage throughout the day. Confirmed artists Kanoa, Jessica Rabbitt, Glenn from Maoli (acoustic), Vince Esquire and Marty Dread. Anuhea and band will perform the last set from 3:30 to 4:30 p.m. followed by a meet and greet. Food and drinks will be available for purchase from the Charley’s restaurant and bar. All net proceeds of the two concert events in Pāʻia, the silent auction, donations and merchandise will go to the scholarship fund. 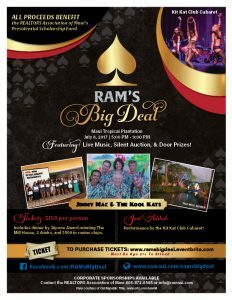 Silent auction items include some of Anuhea’s own guitars and ukulele’s, brand new instruments from Kala Brand ʻUkulele, travel vouchers from Mokulele Airlines, CD’s and merchandise from Kimie Miner, gift certificates from Akamai Coffee Company, one of a kind artwork and much more. The nighttime concert event is open to individuals that are 21 years of age and older only. Doors open at 9 p.m. and music starts at 10 p.m. Local bands Redmelo featuring Leylani will play, along with Anuhea and special guests Kanoa, Marty Dread, and more. Tickets are $25 online and $30 at the door. Limited reserved VIP booths are available for reservation at $200 to $300 (include tickets for four, gift bags, and other VIP perks). Meet and greet VIP pre-party tickets are $100 for the night time show. All proceeds go to the scholarship foundation. 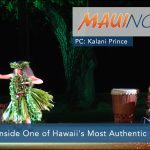 Click here to get tickets to the event, and to learn more about how you can support Anuhea’s Aloha Always Foundation and her mission to help Hawai’i students achieve their education dreams. 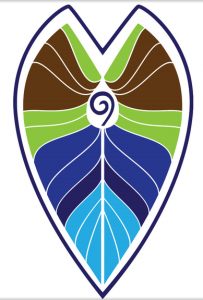 The deadline to apply for the Aloha Always Scholarship is Friday July 13, 2018. The scholarships are open to all Hawaiʻi students enrolled in college for the Fall 2018 semester. The Aloha Always Foundation seeks to empower, educate and inspire Hawaiʻi youth by granting scholarships for higher education.